I have a style question in regards to wrapping labels. For a domain expert desktop application we are doing, we are using right aligned labels and left aligned fields. Every now and then we get a situation where the label is very long (like a complex business term or a question). At this point, the only solution I can see is to just wrap the question. Is this the best option? I don't plan on moving to top aligned labels because almost all data fits nicely with the label and field being on the same line. And also, this is desktop only. If left aligning the labels is the only option then it's a matter of scannability. To what extent (if any) does the design interfere with the user reading and answering the questions. I find the first option, with the label all on one line, to be jarring. But I don't count. This is a very simple thing to test. 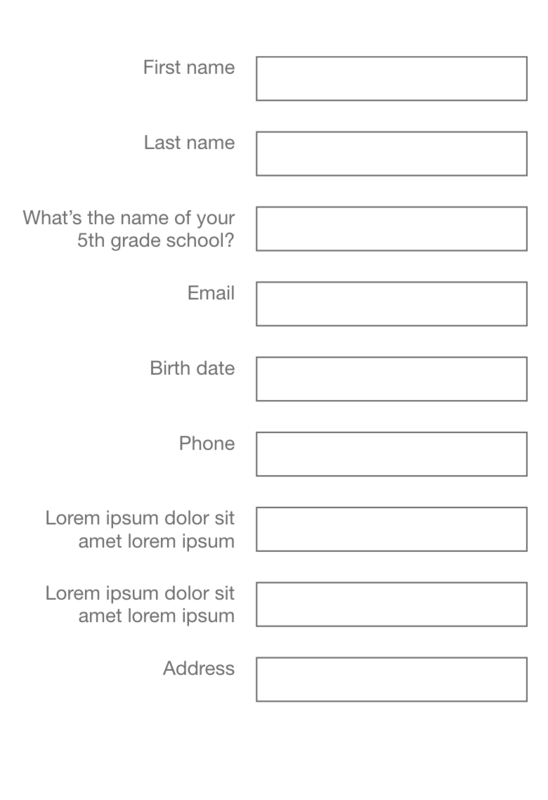 Create two versions of the form and ask people. It need not be a formal test. The pages could be printed. Go to business people; receptionists, etc... and ask which of these two do they find easier to read? Only after the respondents have given their opinion point out that one has the text wrapped and the other on one line (if they haven't noticed and pointed that out before hand). maybe you can make input fields higher, to fit two lines of text. As I can understand there should not be lots of these, so limiting to two lines could be an option. Also, try to make all fields same width, to counterbalance the disorder on the left side (length of text labels, multiple lines). This is just one suggestion since it is only for web. see the layout below. Not the answer you're looking for? Browse other questions tagged forms labels wrapping or ask your own question. How do you deal with unusually long labels? How to structure complex forms for business documents?